EUSA combined dissemination and promotion by launching their 2010 awards at an ‘Inspiring Teaching’ conference, where they also launched a report on the impact and outcomes of their 2009 awards. Their ‘Recognising Good Teaching’ booklet covers the background to the awards, some of the impact, and comments and views on some of the key themes, such as ‘innovative teaching,’ ‘all round learning,’ and ‘skills for employment.’ The ‘Inspiring Teaching’ conference included speeches from awards winners, workshops led by award winners to highlight best practice and a school exhibition of best practice. The conference was attended by 250 staff and students. UWS are looking to produce a booklet with the outcomes of the awards so staff and students can find out more about what the awards are for, as well as the key issues coming out of the nominations. The booklet can then be used ahead of future awards nominations process to help people understand more about what they’re about. Highlighting the examples of best practice can also inspire staff to look at how they teach and students to think more about what they would find useful in teaching. The best practice examples and student comments can also be used in class representative and school officer training. Ensuring your class reps have all the results of your awards will help to create ‘bottom up’ pressure for change. Heriot Watt holds an ‘Academic Voice’ event for school officers, class reps and other interested students to discuss their academic experiences and this was combined with the awards ceremony in the evening, along with HWUSA’s longstanding ‘Volunteer Oscars’ and Class rep awards. 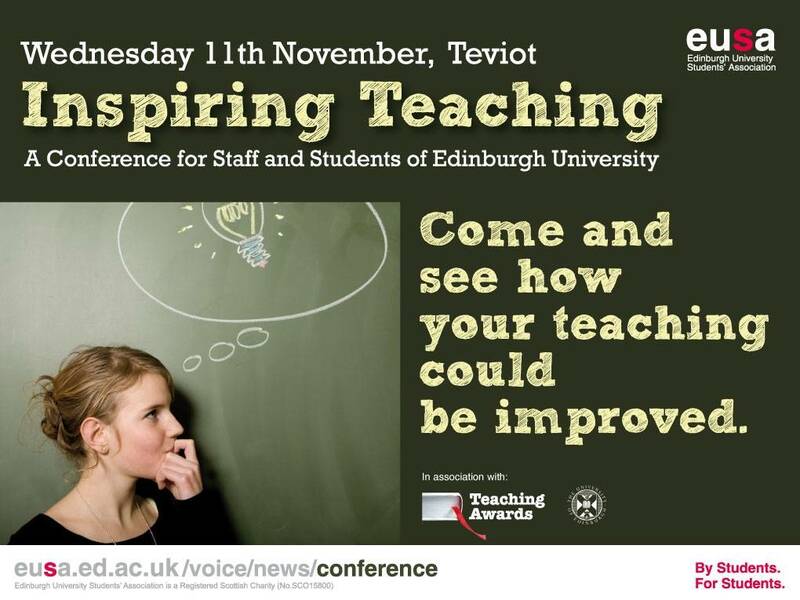 HWUSA hope to invite winners from this year’s Teaching Oscars’ to speak at next year’s ‘Academic Voice’ event about good practice. A number of the project partners also mentioned how useful it was to have a ‘bank’ of student comments on learning and teaching to use in speeches, presentations and documents for meetings with students and institutional staff and committees.